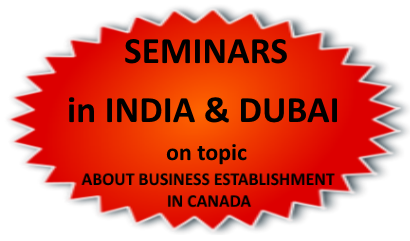 open a branch in Canada and do business. We include Canadian experts in the field of business and certified immigration consultants who will not only put you up to date and give you the right information on Canada but also the means to immigrate and do business here. We are much more than just immigration consultants. We are primarily Canadian construction and real-estate contractors, engineers and Canadian expert lawyers since 1989, joined by immigration consultants with experience and ICCRC (Immigration Consultants of Canada Regulatory Council) accredited, to give you every opportunity to succeed in your business immigration process. In Business and Immigration to Canada we are experts!